Place the strawberries in a food processor and process until chopped into small pieces. Remove from food processor and place to the side. 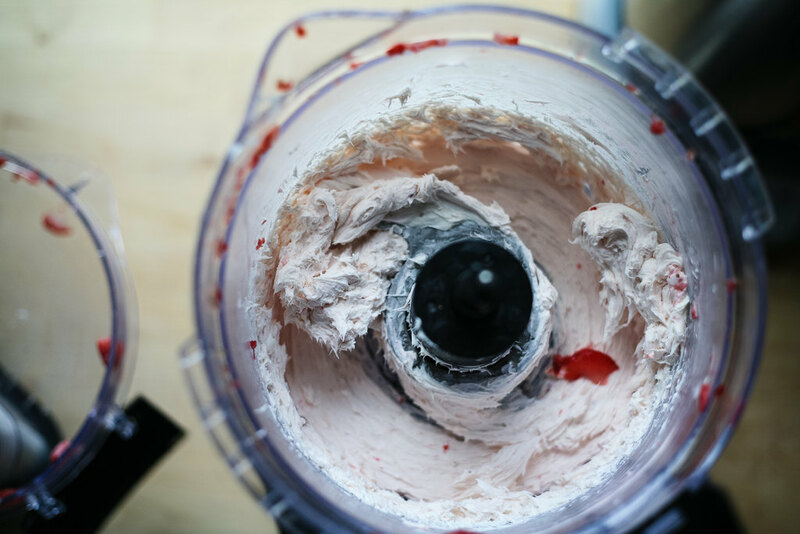 Place cream cheese in a food processor and process until smooth. Add cream, honey, and lemon juice. Process until well combined. Add 1 1/2 cups of the strawberries and process until almost fully smooth. Add in remaining chopped strawberries and pulse a few times until just mixed in. 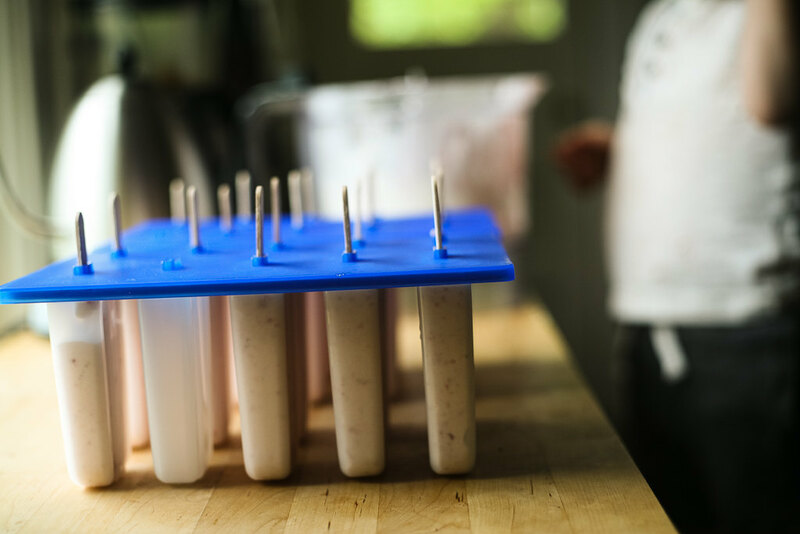 Pour mixture into popsicle molds and add popsicle sticks. 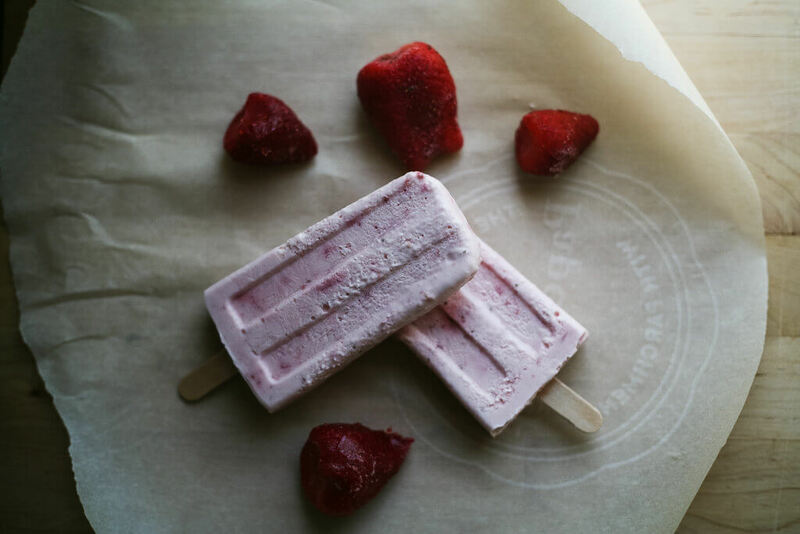 I use this mold with wooden popsicle sticks. 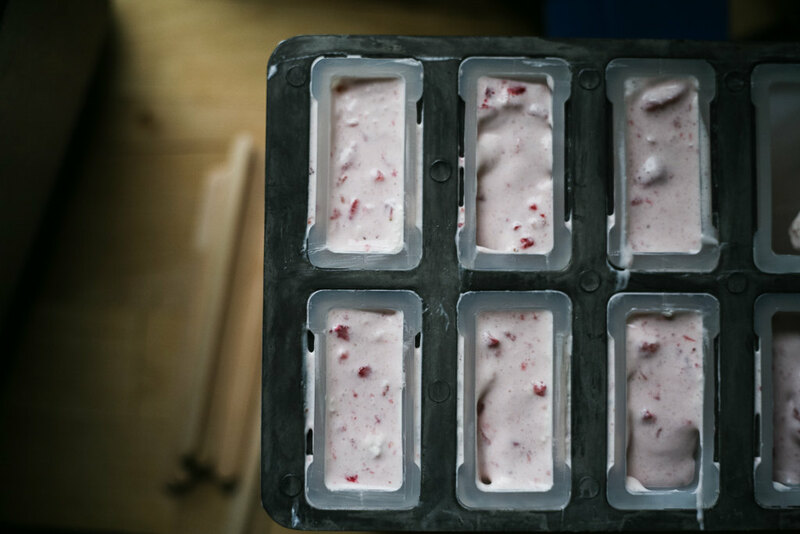 This recipe fills ten 3 ounce popsicle molds.